Whether it is a honeymoon, anniversary or your partnership just needs a little rekindling, be it a cosy hideaway or a stunning chic retreat, try one of these romantic villas for just the two of you. 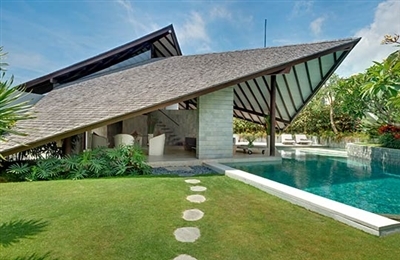 For a two-bedroom villa, Belong Dua delighted us with its generosity of space. The sitting room is huge and there’s a home theatre as well (a surprise, as this is usually reserved for at least a three-bedder). 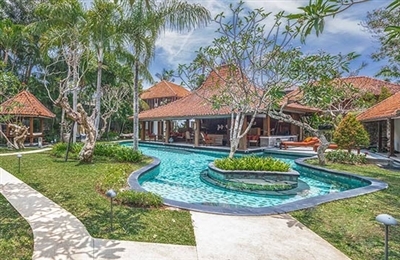 The garden and pool are also unusually large; the owners could have easily snuck one more bedroom pavilion in, but we are so happy they didn’t because it has left a wonderfully open space with wide sky views fringed by coconut palms and towering mature trees. This is a real Bali experience, well away from the fashionable see-and-be-seen café culture of downtown Bali, but still with four-poster beds and gorgeous outdoor bathrooms to rival any of the big boys. When swimming in the pool, make sure you look up at the reflection in the big mirror that sits on the living room wall: the illusion doubles the size of the villa’s garden. And when have you ever seen yourself swimming before!? Sunsets on the beach are a short stroll away and do jump on one of the villa’s bicycles and head off out among the rice fields to explore the real Bali even further. The area is relatively flat and shady and the local people will never let you get lost. Our 2017 re-inspection of Villa Des Indes I revealed an immaculate, eclectic home that has been lovingly furnished by its owners to celebrate the rich heritage of Indonesia through a fine collection of antiques, artefacts, curios, local artwork, colonial prints and classic sculptures. 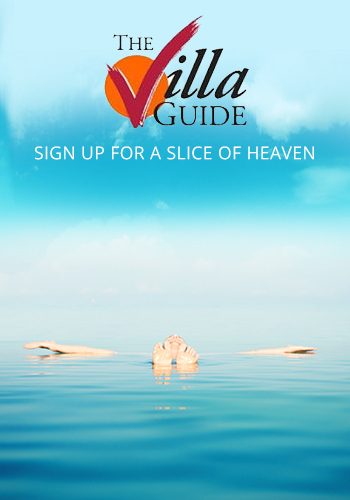 The villa is a true delight, enhanced by its central location but very quiet and private feel. Once inside you are truly in your own world and, given the very gracious staff, a wonderfully enjoyable one at that. The chef prepared an excellent and beautifully presented meal during our stay – the Dory dish and ikan lilit (fish satay) were delicious; so it’s easy to imagine a full-blown dinner party in this gorgeous setting, illuminated by scores of flickering candles. Des Indes I will delight families and groups who appreciate being surrounded by a sense of history alongside the villa’s many contemporary luxuries. 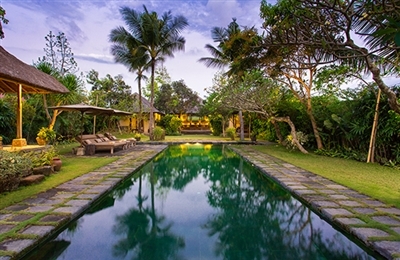 In our opinion, it is still one of the most unique East-meets-West, old-meets-new villas in Bali. 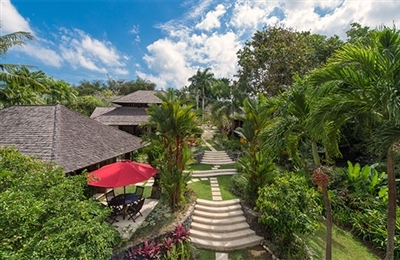 Pangi Gita is one of our favourite small villas of all time. We were amazed to find out it was built in 1999 – it's been staggeringly well maintained. All the surfaces are carefully polished by the staff and absolutely everything works (it’s not often you can say that in Bali). The flow of the villa from entrance down to river is very easy, giving lots of little areas to disappear off to, helped by wonderfully mature gardens. The staff are charming although not all speak perfect English. The food we had was beautifully presented and great value for money. 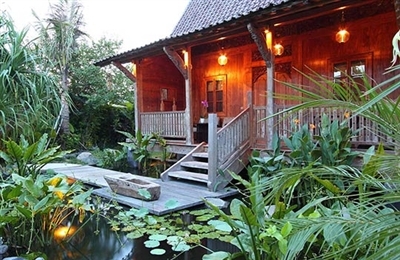 The master suite is incredibly romantic with its canopied bed and huge bath. 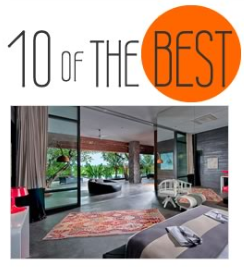 Great villa – one of the best in its size and category. Coming back to check the villa again five years after our original review, everything is still meticulously maintained and presented, and that river keeps on a-singing as it passes by this most beautiful spot.